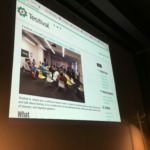 This post is report about what I learned at Testival #27 meetup and how I provoked that learning. 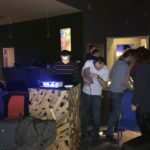 Last week we had Testival #27 meetup. Attendant metric was 15/25, which is excellent 0.6! You probably have seen something like this metric in your test reports. 0.6? So what that number means? 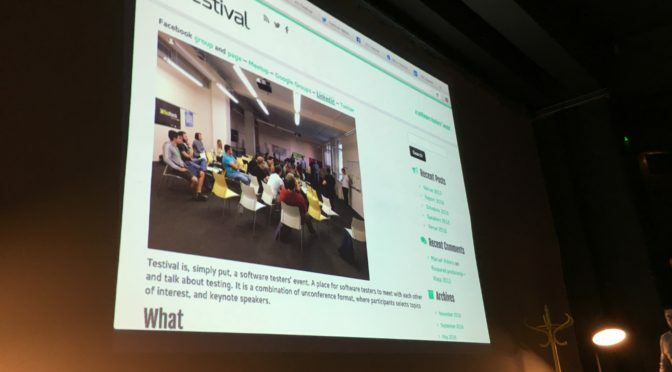 We recently moved to meetup platform which exposed Testival to local community. 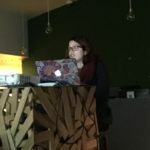 15 testers showed, and 25 applied to meetup. We have total of 65 members in Testival group. This is great improvement for Testival. 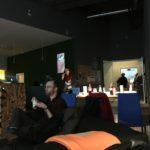 Sponsor of this meetup was Repsly, and we met again in HUB385. Repsly is hiring for a QA position. After short introduction of all participants, we started with lectures and lighting talks. 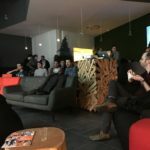 Between two sessions I heard interesting question, how to check large tables using selenium (I always mingle in listening mode in every meetup), and Zeljko mentioned that he successfully used dedicated htl parser for that purpose, not the Watir-webdriver implementation. 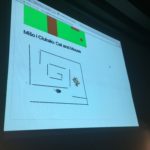 I was very impressed how Scratch evolved in past few years. 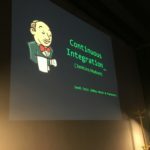 There is jenkins plugin that enables you to keep history and version of your application builds. Over beers I learned on real example how is very hard to manage team of programmers. There is no silver bullet, managing a group of programmers is very hard.